Since being criminalized in 1966, the classic psychedelic drug has shaped culture – but it's been reshaped as well. LSD “poses a growing threat to society, particularly to young thrill seekers unaware of the damage it can do,” California Governor Edmund G. Brown said when he’d signed the law several months earlier. First created by Swiss chemist Albert Hofmann in 1938, the mysterious drug had been used in a wide variety of experimental mental health research and treatment beginning in the mid-1940s, and by the 1950s became fashionable in Hollywood, with Cary Grant crediting LSDwith giving him a “second youth.” By the late 1950s, it escaped from labs, elite therapists and military experiments, into pockets of the counterculture; and in 1965, the counterculture – by way of self-taught chemist Owsley Stanley – began to manufacture LSD for itself. Manufacturer Sandoz and other companies ceased distribution, but the genie was out of the bottle. An unquestionably powerful substance, its uncontrolled use triggered both revelation and occasional mental breaks in users, as well as numerous, later-disproven scare stories about chromosome damage and fatal flashbacks. A half-century later, LSD remains both illegal and contested, and is still a Schedule I drug. But, as early studies also concluded, LSD could be a boon to creativity and in the decades that followed, the substance has served as a powerful catalyst for musicians, scientists, artists and programmers, in addition to the underground therapy network that continued onward quietly, as well. Over the past decade, as cannabis has moved towards full legalization, a so-called psychedelic renaissance has brought LSD back into the mainstream through both above-board scientific research and unexpected new turns in underground usage. Here, a look at how LSD has evolved since that fateful day in 1966. Traditional South American brew ayahuasca has grown increasingly popular in the United States, and MDMA and mushrooms both eclipsed LSD in popularity around the turn of the century. Though acid remains a cornerstone of North American psychedelics, LSD availability dipped sharply around the year 2000 and, since then, has remained near an all-time low on traditional metrics such as the annual Monitoring the Future survey of high school students, though perceived risk and disapproval ratings have also fallen dramatically. Nonetheless, psychedelics – including acid – have unquestionably returned to the American mainstream. One study suggests that Google searches for LSD nearly doubled between 2012 and 2014, and the amount of activity around the world – including the organization of a worldwide psychedelic community – suggests an almost undeniable psychedelic uptick. But this didn’t happen overnight. Founded in the mid-1980s by Rick Doblin, the Multidisciplinary Association for Psychedelic Studies, or MAPS, began to cut through research red tape as early as the Clinton administration to conduct basic safety studies. Starting in 2014, in the first scientific studies on human subjects in decades, researchers and supporters have touted the so-called classic psychedelics as ways to quit smoking, treat PTSD and chronic depression, cure cluster headaches and help terminally ill patients cope with the fear of death. 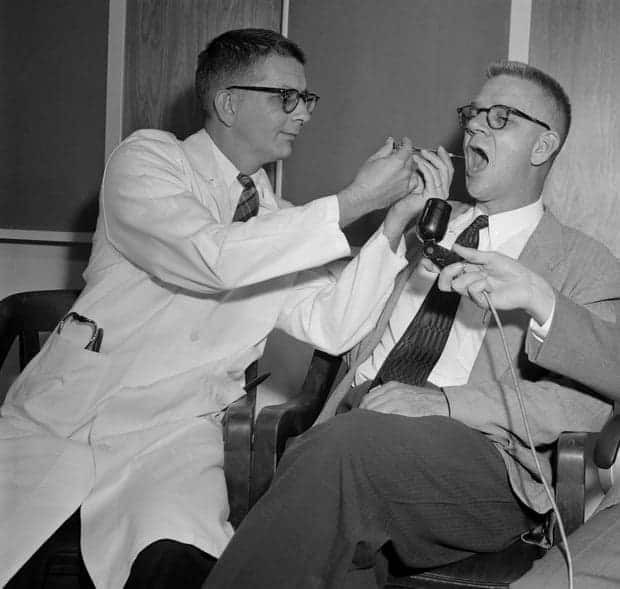 Researchers continue to pursue what has been dubbed “the Trip Treatment,” often resembling the type of deep analytical work championed by Cary Grant and others in the late 1950s. Around the world, psychedelic users have begin to organize around an ongoing campaign with hashtags like #psychedelicsbecause. With the harsh mandatory minimum sentences of the Drug War fading into the past, psychedelic users are becoming more vocal about their experiments and practices, and the ways that psychedelics have positively transformed their lives. Self-consciously borrowing a model from identity politics (for which they’ve also been criticized), the groups of loosely connected organizations share the mission of normalizing what is sometimes considered a deviant activity. The social media age has also produced an infrastructure of advocacy groups and community organizations supporting a range of ideas, including medical regulation, private practices, experience sharing and pill testing. MAPS is perhaps prototypical of these groups, working to influence policy, nurturing a network of trained psychedelic therapists, and supporting groups to provide risk reduction services at festivals around the world. Often using sites like MeetUp.com to connect, a group of loosely connected psychedelic societies is springing up. The size of LSD doses has been dropping for decades, from the 250-microgram “God doses” of the 1960s to the more restrained 100-microgram standard that began to take hold by the early 1980s. Over the past five years, though, first-wave LSD researcher James Fadiman has been championing even smaller sizes. Called “microdosing,” Fadiman argues that 10 micrograms of LSD taken every few days on a careful cycle, with disciplined self-observance, can make one a healthier person. Though none of the scientific research supports Fadiman’s theory, and there is no formal measure of how many have tried, microdosing’s compelling name and concept has given it a viral life of its own. With Apple founder Steve Jobs calling LSD “a profound experience, one of the most important things in my life,” and early employees of countless tech companies echoing the sentiment, it should be no surprise that tech revolution has transformed the psychedelic scene, too. Launched in early 2011, the encrypted drug marketplace Silk Road became the first major dark-net market. In turn, it was the sale of drugs, including hard-to-get psychedelics, that helped power the rise of the virtual currency BitCoin, with drugs once again having an impact on the history of the internet. 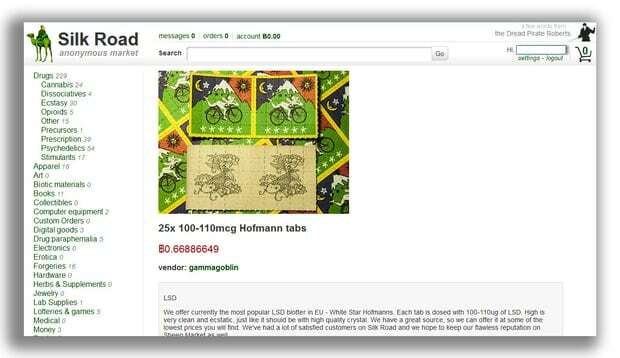 Silk Road was the first major drug market on the dark web. Replacing festivals and concerts as a method for wholesale drug distribution, some have argued that the cryptomarkets have made drug acquisition safer for users, less likely to put buyers in potentially violent situations. It also makes users more likely to know what they’re getting, with groups like the Darknet Market Avengers testing the quality of the drugs available from various vendors, providing Yelp-like ratings, and acting as ad-hoc risk reduction services. Though Silk Road shut down following high-profile busts in in 2013, numerous other marketplaces sprung up to take its place. 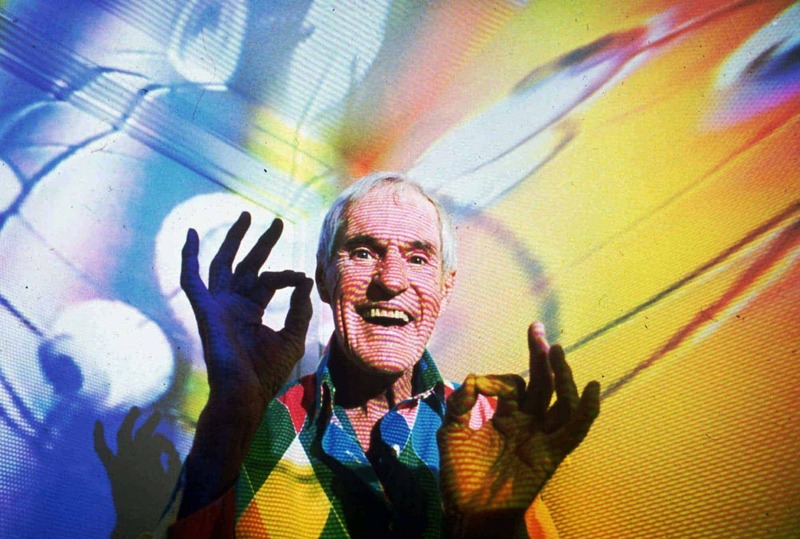 With psychedelics permanently enmeshed in American life, groups like MAPS have worked to create frameworks for psychedelic therapy, and many over the years (such as Timothy Leary) have made the argument for cognitive freedom. But Jag Davies of the anti-criminalization Drug Policy Alliance believes that a more direct approach might come through the decriminalization movement, discovering in early polling that even in conservative states like South Carolina, some 59 percent of primary voters supported outright decriminalization of drug possession. The notion that nonviolent criminals don’t belong in the prison system is one likewise embraced by President Obama, who has lately granted clemency to nearly 700 nonviolent prisoners, more than every President since the 1950s combined. In August, that list grew to include its first LSD prisoner as well: Timothy Tyler, a low-level Deadhead acid dealer with a history of mental health problems given two life sentences in 1992 based on laws passed at the height of the Drug War. A half-century since the Love Pageant Rally and the first LSD criminalization laws, a handful of long-term psychedelic prisoners remain in the prison system, including “Mushroom” Bob Riley and purported chemists Leonard Pickard and Clyde Apperson. One LSD lifer, Roderick “Rudd” Walker passed away in prison in 2014. Reflecting on the values that led to the Drug War, like other LSD prisoners before him, Timothy Tyler quotes Love Pageant Rally participants Grateful Dead and still wonders if he was the victim or the crime. While LSD and psychedelics remain as illegal now as they became in 1966, they have also perhaps grown more dangerous to use, if only because of the laws surrounding them. Acid-heads began searching for LSD alternatives before it had even been made illegal, but the acceleration of the digital age and the arrival of the dark-net has caused an escalation of complications and potentially lethal alternatives. With psychedelics playing a transformative and continuous role in American history – remaining at the center of an unceasing creative and spiritual awakening – the 50th anniversary of LSD criminalization might also act as a 50th birthday for the psychedelic culture that the Love Pageant Rally gathered to celebrate.